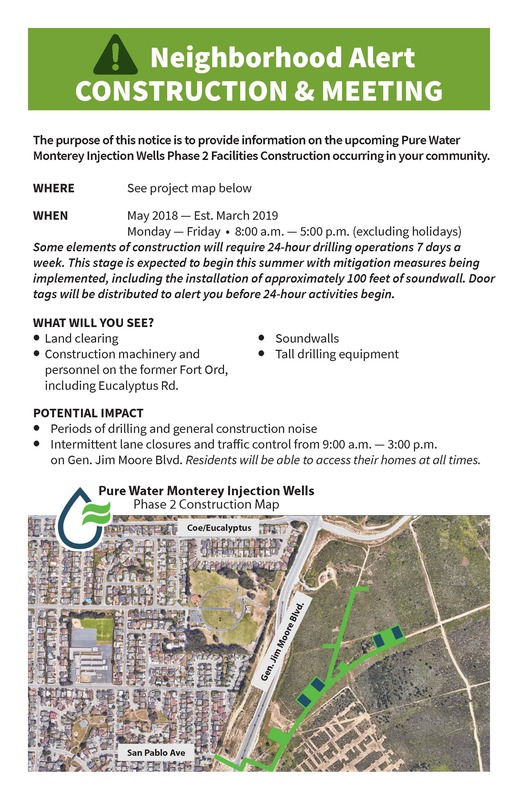 Construction on Pure Water Monterey is underway, with the various components being built across the county. This page will be updated with information regarding the individual project sites. Our engineers and environmental scientists have worked extremely hard to mitigate any impacts that might affect the surrounding areas. Thank you for your understanding during the construction phase of this critical water supply project. The future of water is almost here! 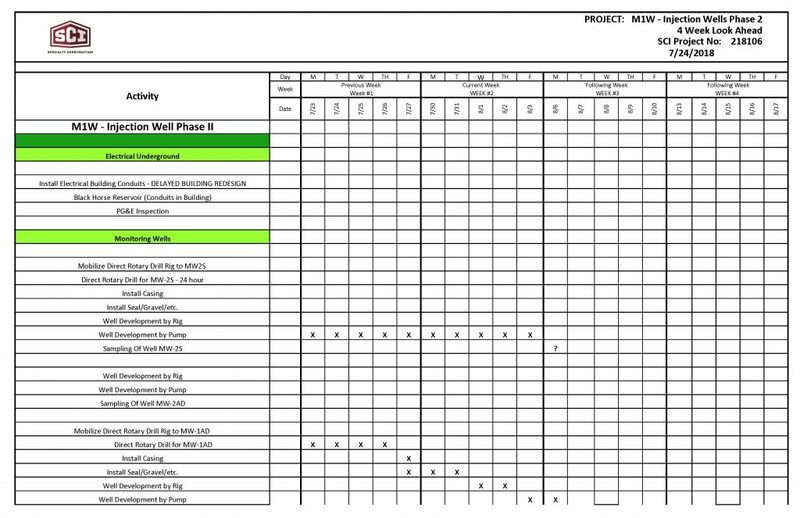 We have implemented 24/7 drilling at our Pure Water Monterey well site. 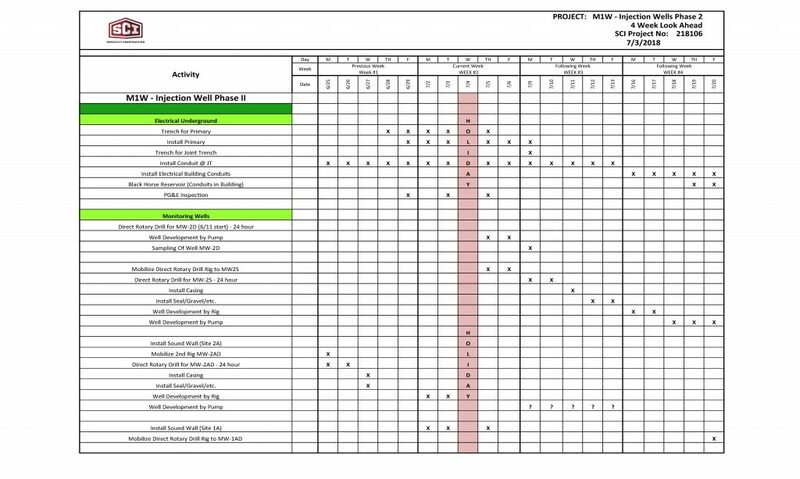 We have implemented extensive mitigation measure to reduce the amount of noise and are constantly monitoring the work to ensure we are within our permitting parameters. 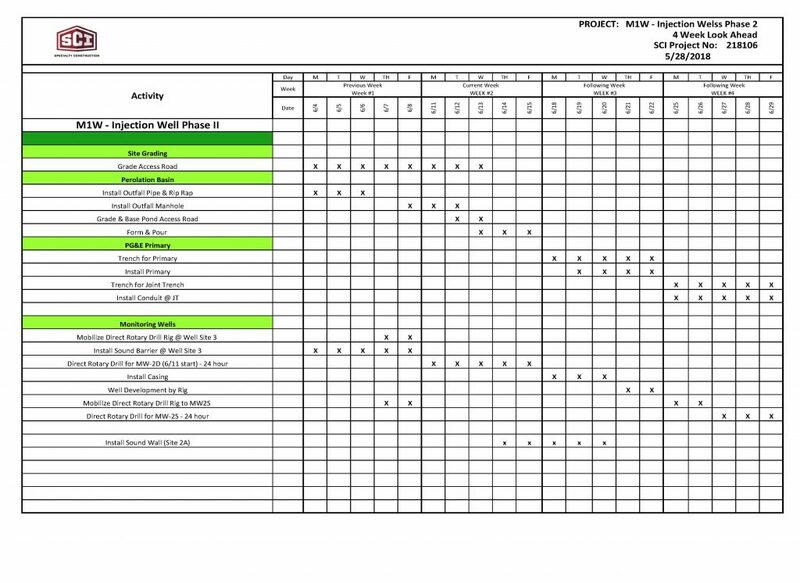 We expect to conclude this portion of the project’s construction in the next two weeks. Thanks for your patience. -Soundwall installation is underway and visible from Gen Jim Moore Blvd. Soundwalls will help block sound and light to the neighborhood. 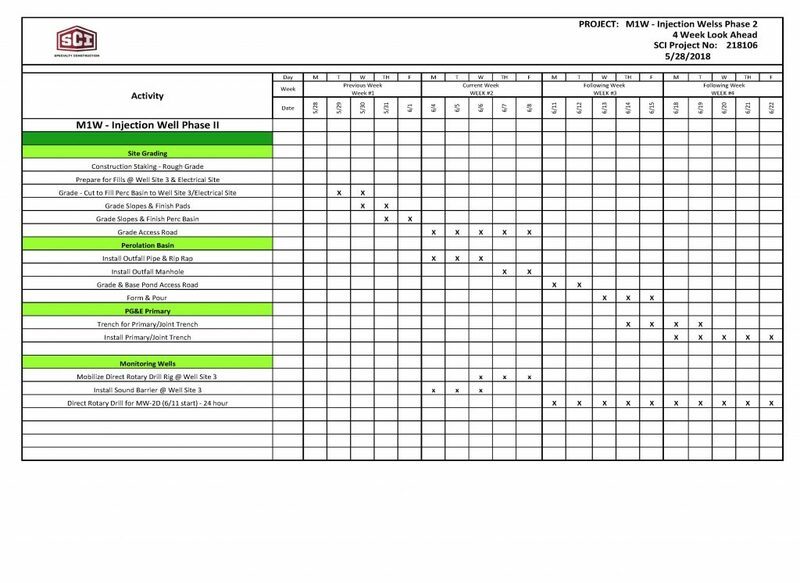 -Well drilling is scheduled to begin next week, including nighttime activities. A Consolidated Final EIR is now available.